Urban flood risks and their impacts are expected to increase as urban development in flood prone areas continues and rain intensity increases as a result of climate change while aging drainage infrastructures limit the drainage capacity in existing urban areas. Flood mitigation strategies are required as part of sound urban flood management plans to assess flood risk and identify technically feasible and cost-effective options to reduce the risk. Central to the development of flood mitigation strategies is the efficient prediction of flood propagation characteristics in urban areas. Detailed predictions of flood flows in urban areas require the use of high resolution topographic data. However, due to computational demand topographic data is often generalised to a more manageable resolution and floodplain models are built at much coarser resolutions. 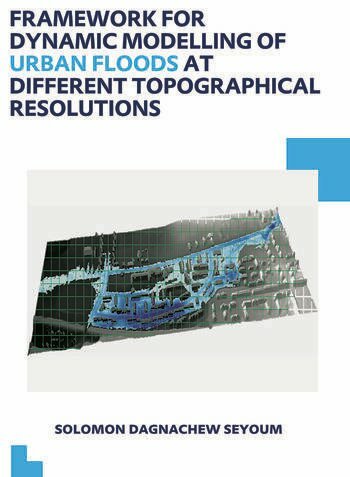 The research presented in this thesis addresses the problem of capturing small-scale features in coarse resolution urban flood models with the aim of improving flood forecasts in geometrically complex urban environments. The approach adopted in the research used a two-dimensional surface flow modelling system that can extract and incorporate useful information available in high resolution topographic data into coarse grid models. The thesis also presents modelling of the complex interaction between surcharged sewer and flows associated with urban flooding and incorporation of infiltration process in surface flow modelling tools. Case study results showed that the incorporating volume-depth and flow-area-depth relationships extracted from high resolution topographic data significantly improved the results of coarse grid urban flood models while taking the advantage of reduced computational time to ensure efficient prediction of urban flood characteristics. 1. Introduction 2. Literature Review 3. Development of the Modelling Systems 4. 2D Model Application to Simulate Surface Flow 5. Sewer Network and Surface Flow Interaction: 1D-2D Model Application 6. Topographic Grid Generalization for Urban flood Modelling 7. Effect of Infiltration in Urban Flood Modelling 8. Conclusions and Recommendations. Solomon D. Seyoum is lecturer at the department of Environmental Engineering and Water Technology of UNESCO-IHE Institute for Water Education with more than 15 years of research and industrial experience. He has a combined background in sanitary engineering, water resources engineering and hydroinformatics. Prior to joining UNESCO-IHE Solomon Seyoum worked for the government and consultancy firms in Ethiopia, involved in the study, design, modelling and management of urban drainage, water supply, stormwater and wastewater systems. His role ranged from resident engineer to senior design engineer and team leader within various water resources development projects. At UNESCO-IHE he teaches in urban drainage and sewerage, design and modelling of urban drainage systems, numerical methods and related courses. In addition he supervises Master students and coordinates an online course on urban drainage and sewerage. His research interests include urban flood modelling, optimization of urban drainage and water supply distribution networks, development and application of advanced tools for simulation, design and management of water systems and urban water infrastructure asset management.